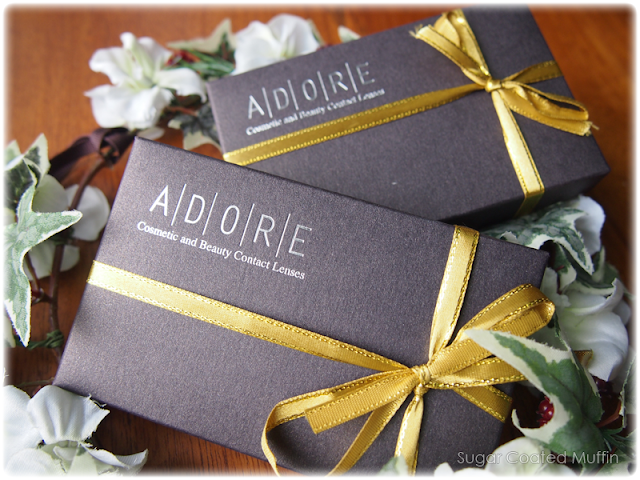 I adore the packaging because it looks so expensive, elegant and kinda like a jewelry box. Gave me a shock! 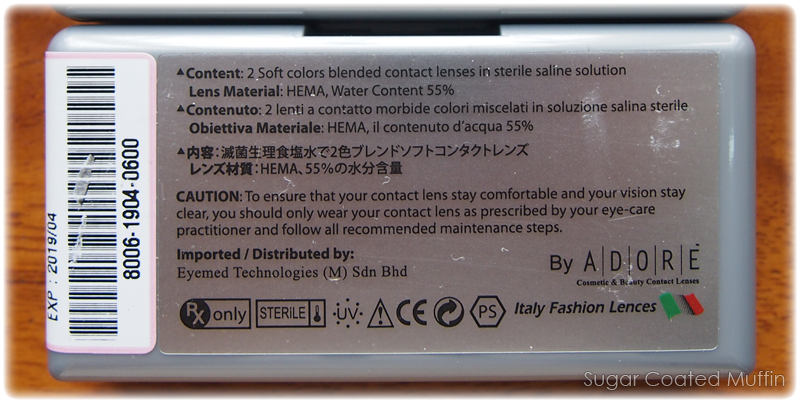 Didn't expect the lenses to come in such sturdy casing. Inside the boxes you will find 2 blister packagings. Yes, my power is quite high! They offer up to -10.00 here so no worries. Adore is quite new here in Malaysia but is established in Europe and has a reputation for their Italian Fashion Lenses. The Imagene series was created specially for Asian eyes. Don't you just feel honoured.. xD I know many of us complain of having small and dull eyes (myself included). 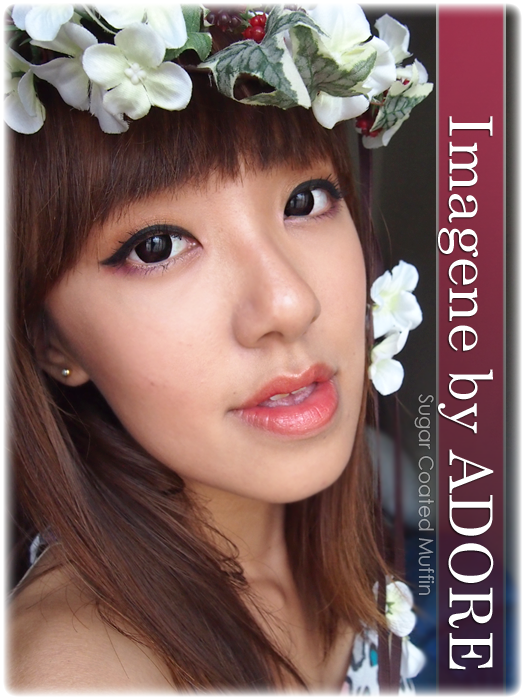 The Imagene lenses are meant to give you bigger radiant eyes while keeping it natural. They also included protection against UV cos the sun here is just horrible. How thoughtful of them.. 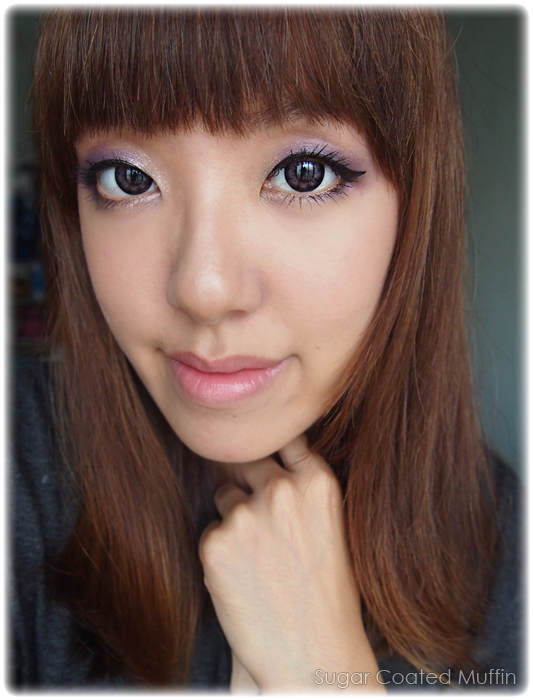 I love colourful eyes so the first colour I'm reviewing is Magenta, which is one of their new colours. The other is Grey. Magenta/Pink is not a very natural looking colour but I love it! Gives my eyes a pop and it's so girly. 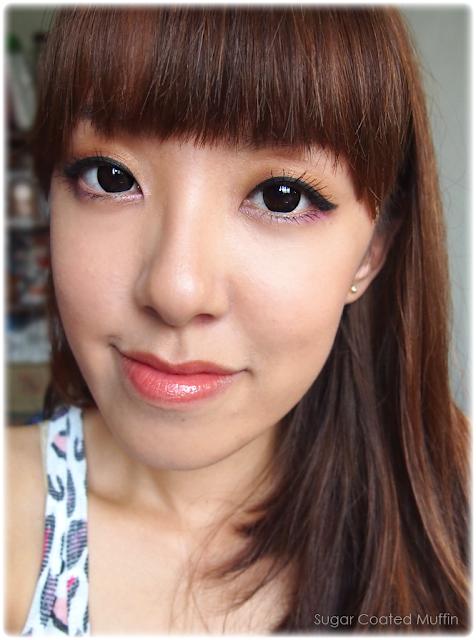 Enlargement effect ~ At 14.5 mm, it gives my eyes a lil boost but isn't exactly HUGE so most people will be fine with it. Up close, obviously it looks pixellated but from a normal distance you won't notice it. Design and black limbal ring isn't too harsh as it blends out. 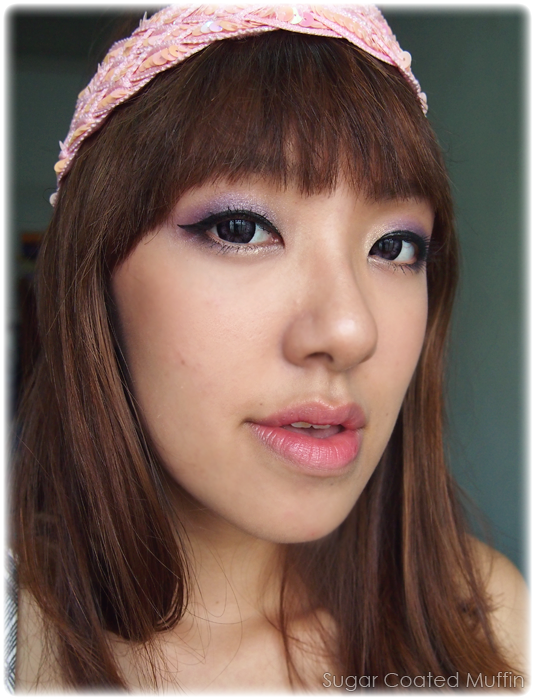 Matched them with gold & purple eyeshadow! Basically, you can pair Magenta lenses with anything but green eyeshadow unless you're cosplaying or want to look like a parrot. My whole look is sorta girly-pinky cos that's the feeling the lenses give me. 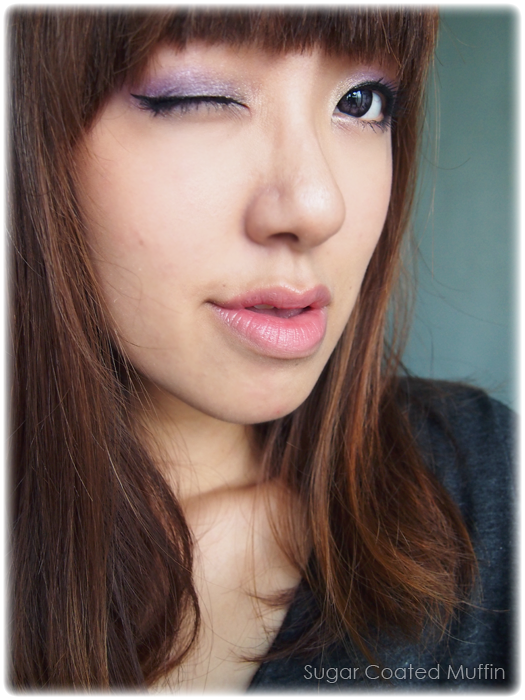 Eyeshadow from Sleek palette, eyeliner is Dolly wink and mascara ZA Killer Volume Mascara. 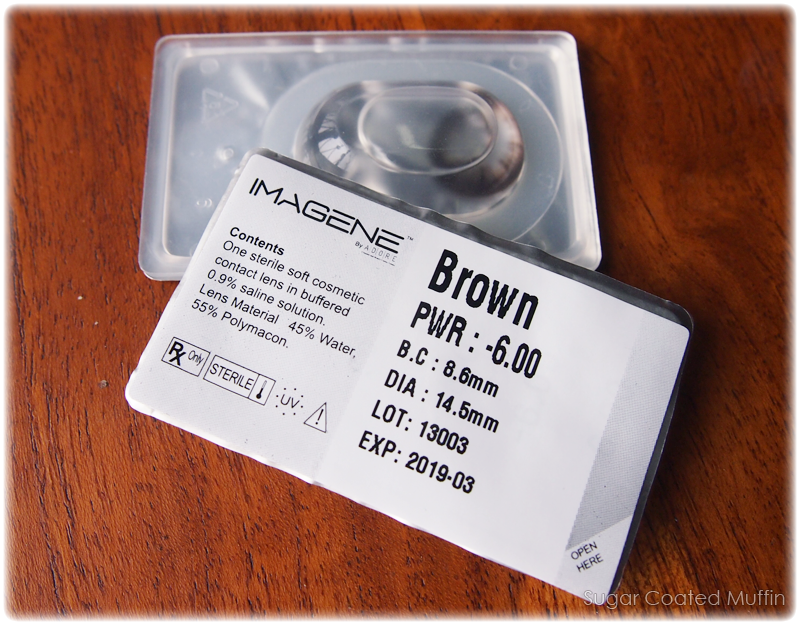 Since not everyone is a fan of pink lenses, here's one for Brown! If you want natural looking eyes but bigger, get Brown or Grey. They enlarge but the colour softens your eyes, giving you a doe eyed look. But if you're going for a dolly look, Black is perfect. See? It almost looks like my real eye except bigger! Can't really see the colour but the difference is huge if you compare with black lenses. 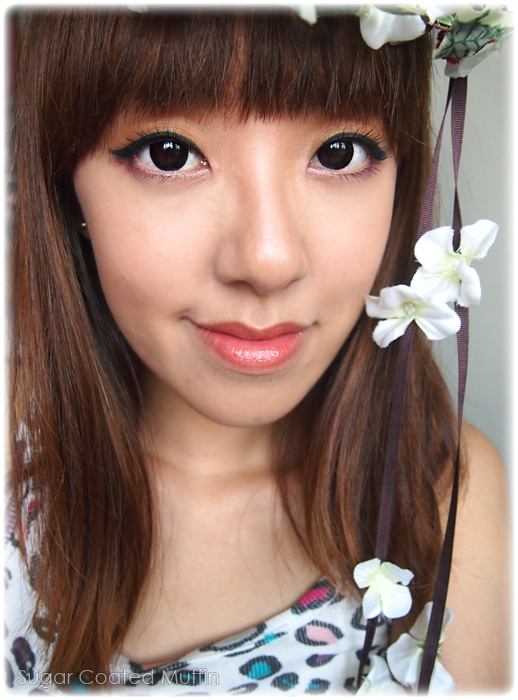 Since it's such a natural contact lens, I'm allowed to play with colours on my eyes! Added a dash of pink under my eyes from Elf, brown eyeshadow from Kate, Stage eyeliner (that isn't completely black), ZA mascara again and lips are a combination of Stage & Kanebo Lunasol. Under bright light you can see that the middle is slightly lighter in colour. Wore these for more than 8 hours and they did get a lil dry but you're not recommended to wear them past the 8 hour mark anyway. Pretty good considering many brands will totally dry out on me by then. Didn't move around as I blinked too! Vision was absolutely clear. FYI, these lenses are super thin and are made with high oxygen permeability for extra comfort. 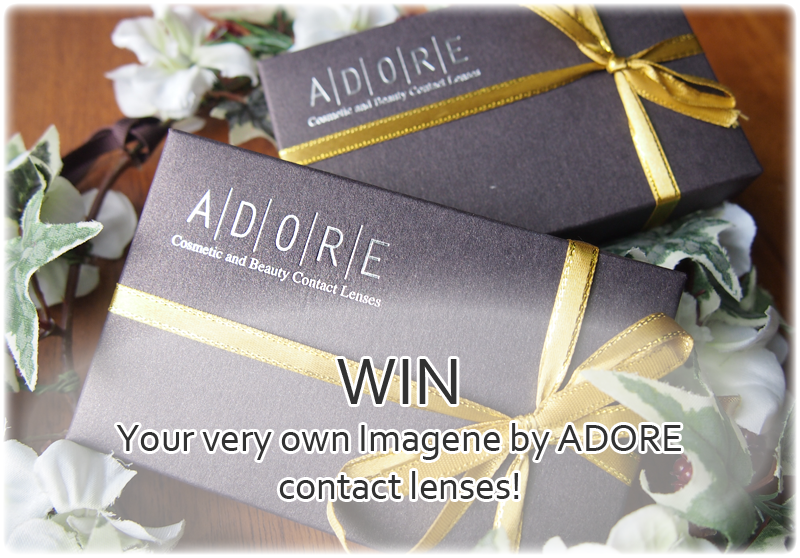 I have 2 pairs of the ADORE Imagene series contact lenses to giveaway! 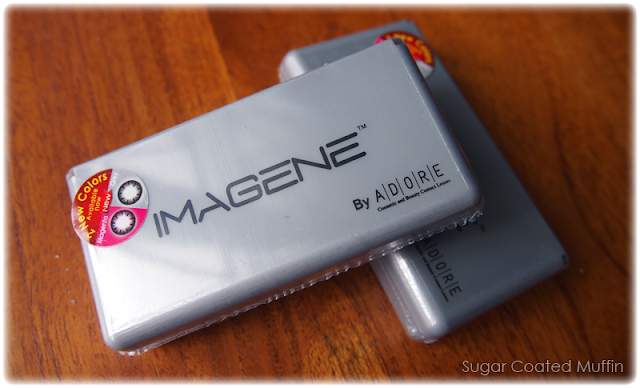 All you have to do is..
2) Comment below to the question: "Why do you want a pair of IMAGENE contact lens?" - including your name, Facebook link and email address. Winners will be contacted directly by the company by 1st of June 2013. 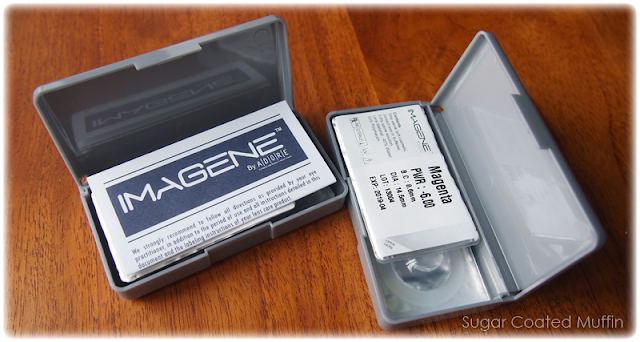 Why do you want a pair of IMAGENE contact lens? 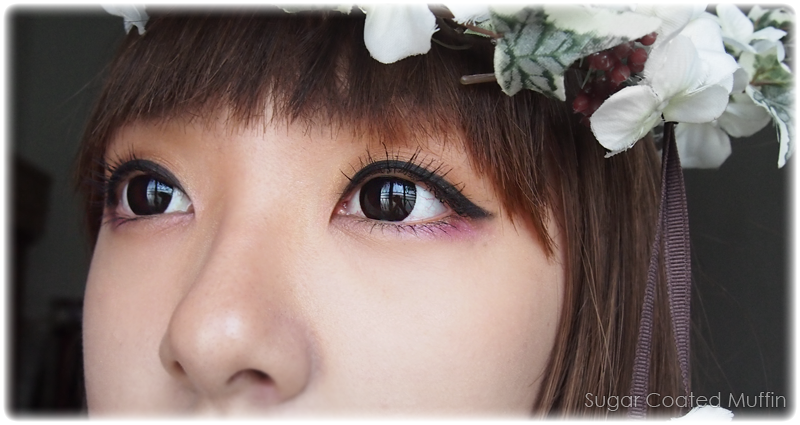 I want a pair of IMAGENE contact lenses because is a must-have for my beauty routine, and I particularly want to try out the effect of the Magenta lens. Plus, wearing contact lens makes it easier for me to go about my daily activities without the hassle of wearing spectacles! 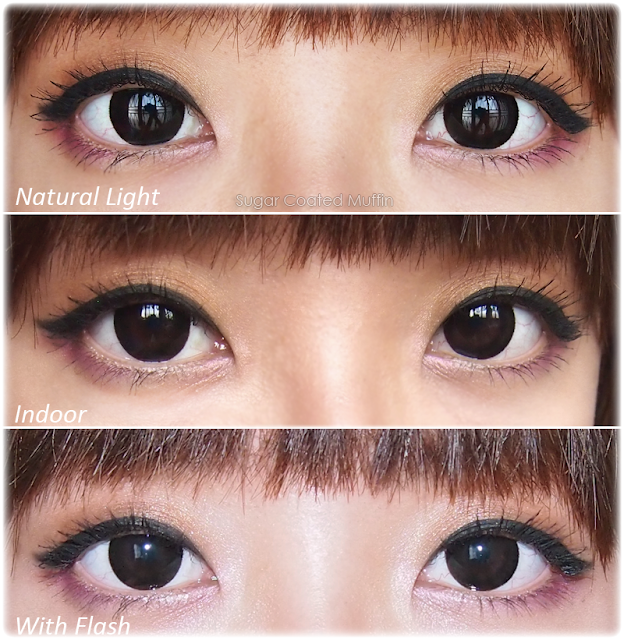 I want a pair of IMAGENE contact lens because I'm a typical ASIAN with extremely small eyes,just like a 'mata kucing' .All i need is IMAGENE contact lens to give me a bigger and natural eyes and at the same time protect my eyes from the long term exposure of UV light under the big hot sun. Of course, all day comfort is important and essential to keep my eyes clear and a better vision! Why do you want a pair of IMAGENE contact lens?" "Why do I want a pair of IMAGENE contact lens?" I want a pair of IMAGENE contact lens because never try for this brand before and hope can wear it during my cousin's wedding on coming August. 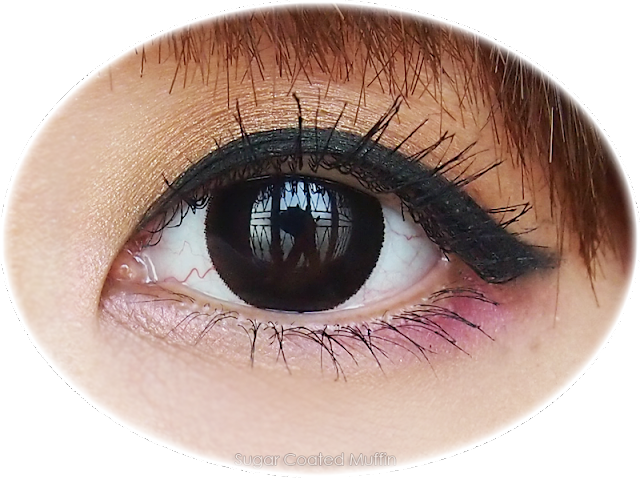 I want a pair of IMAGENE contact lens because I am a big fan of cosmetic lens and from the first day I tried on enlarging cosmetic lens, I never go back to the normal lens. I hope I can win this so I can give a try on this products. I want a pair of IMAGENE contact lens because I don't usually get used to wearing contact lens and glasses is always my primary tool for vision. Most of the time, my eyes were dry and in pain after prolonged wearing of contact lens. It happens too frequent and until now, I am still seeking a trusted contact lens's brand that I can always stick myself with. I have a prize ceremony soon and I wish that I can be a sweet and pretty princess for that night! 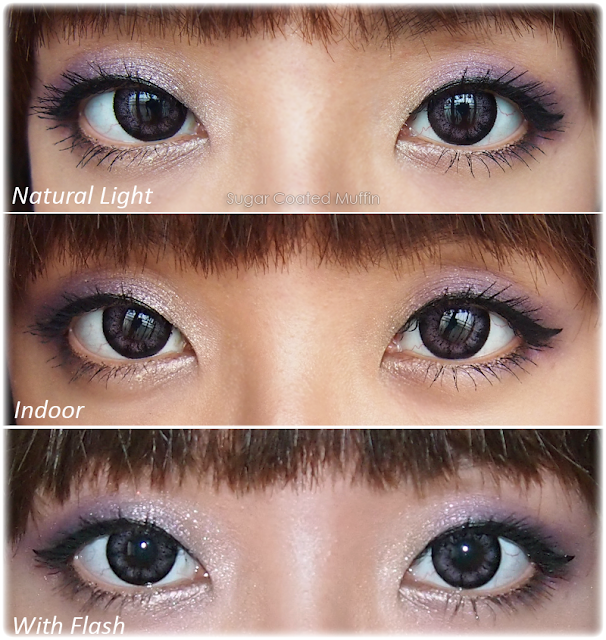 "Why do you want a pair of IMAGENE contact lens?" 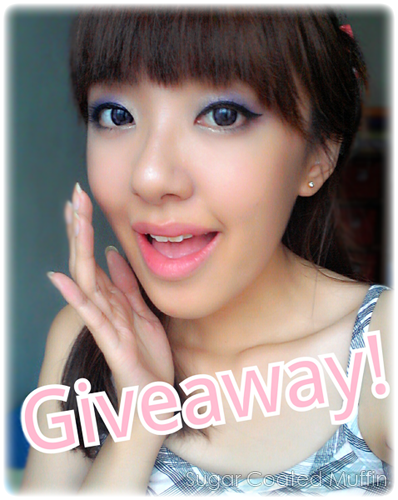 Thank you for the giveaway !<3 Good luck to all! Well I dont have a specific love on any eye contact lenses brand right now, most of the time I'll just step in the optical shop and ask for advise. But seriously, It's time for me to choose what's the best among all and try all options on which would be the best. IMAGENE is my next aim for trying, that would be awesome if I get to win a pair of these, *before my birthday* yay!! The answer is pretty obvious! 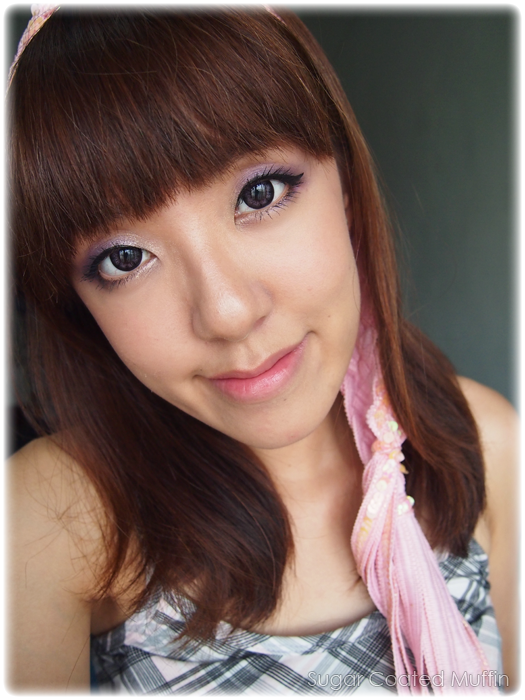 ;-D Mata sepet cina people like me are not blessed with big kawaii eyes T^T so most of the time we look like we are sleeping LOL! I see a strong potential in IMAGENE contact lenses that I'm able to ACHIEVE my huge GOOGOO Kawaii eyes like those cute Japanese models on Vivi magazines :-) Hope I can get to try them out one day <3 and Love how you match your eyeshadow colors with the contact lenses! Why do I want a pair of IMAGENE contact lens? Until then, I saw ur post. I feel like..this is exactly the lens that I am looking for over the past few years! Finally, I don't have to wear colorless lens/spectacle anymore! I feel like..god saved me. Wearing them before I getting glaucoma is one of the wishes in my life. I thought I will never wear color lens in my whole life again, but IMAGENE lens proof to me that I AM WRONG. I CAN STILL GET MY CONFIDENT BACK!! It save me from my despair of not be able to wear color lens again for the rest of my life. That is why, I would love to win a pair of IMAGENE lenses in order to comply my dream <3 I do not want to be "unconfident" again. I never try this brand before so would like to test it since it's wearable for 8hrs ^^ because my eyes quite sensitive and easy dry out, I also hope my eyes could POP @@ naturally without discomfort feeling through out the day...hahaha!! P/S: CHOOSE ME! ME !! ME!! !